Child Custody Evaluations and Family Mediation Services, 16840 Bothell Way NE, Suite F, Lake Forest Park, WA 98155. Practice includes parenting evaluations for dissolution, modification, paternity and third party custody cases in King and Snohomish counties, Guardian Ad Litem appointments, case management services, out of county home studies, adoption home studies including pre and post-placement reports, professional consultation, family law mediation and expert testimony. I have evaluated approximately 900 parenting/family law cases. Further, I have served as an expert witness and evaluator for several contested adoption cases in Washington and one federal case. I have additionally provided expert review or evaluation services for cases in Idaho, Oregon, California, Canada, Hawaii, Mexico and Japan. Family Court Services, King County Superior Court, Seattle Washington. Responsibilities included conducting and writing comprehensive domestic violence assessments, parenting plan evaluations, family risk assessments, CPS status reports, adoption confirmation and consents, providing family law mediation services and expert testimony regarding family dynamics, divorce, domestic violence, child development and attachment, mental health issues, family law, sexual abuse and substance abuse. Seattle Pacific University. Participated in weekly consultation regarding psychology research topics, ethics, laws, current literature, professional and academic writing and research/dissertation development. Sound Mental Health, Seattle, Washington. Supervised 2nd and 3rd year doctoral students. Reviewed psychological evaluations and provided professional and clinical consultation regarding mental health issues, substance abuse and psychological testing to master’s level practicum students. Completed student evaluations regarding clinical, professional and scholastic competency and performance. Sound Mental Health, Seattle, Washington. Interned as a child and adult therapist and clinician. Responsibilities included psychological testing (including cognitive, achievement, personality, disability, and ADHD assessments), consultation and written diagnostic treatment plans, mental health and suicide/risk assessments and individual therapy. Trained in paperless billing procedures including use of medical coupons. Over 2,000 hours completed, including 500 direct contact hours with clients and approximately 150 hours supervised by a licensed clinical psychologist. Sound Mental Health, Seattle, Washington. Provided therapy services, psychological testing, mental health intakes, presentations and consultations to staff and other doctoral and master’s level students. Over 300 hours completed and approximately 150 hours supervised by a licensed clinical psychologist. King County Department of Judicial Administration, Continuing Legal Education (CLE) Instructor. Responsibilities included teaching attorneys and legal staff about forensic and clinical services from Family Court Operations and an overview of the Family Law Department at King County Superior Court. Family Court Services Parenting Seminar, "What About the Kids?" Topics discussed include legal, social and emotional aspects of divorce and its affects on children, developing a parenting plan, family law procedures and RCW’s, effective communication, conflict resolution and a review of local resources. "Supporting Your Client and Your Case in a GAL or Parenting Evaluation." Family Law CLE Speakers Series, Seattle, WA. King County Bar Association Title 26 Guardian Ad Litem Training, “Investigations.” Seattle WA. "Family Court Role and Process for Child Custody Evaluations." Washington Correctional Center for Women (WCCW), Purdy, WA. "Parenting Plans-Complex Parenting Plan Issues." King County Bar Association CLE, Seattle, WA. "FCS and Beyond: The role of child custody evaluators outside of the court." King County Superior Court Family Court Services workshop, Seattle, WA. "Making the Most of Your Client's Parenting Evaluation." Family Law CLE Speakers Series, Seattle, WA. "Handling Divorce for Clients Over 50" CLE workshop, the National Business Institute (NBI), Seattle, WA. 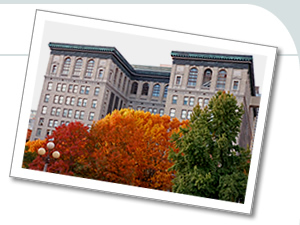 "Family Law From A to Z" CLE workshop, the National Business Institute (NBI), Seattle, WA. "Preparing Clients for Parenting Plan Evaluations." King County Bar Association CLE, Seattle, WA. Washington Chapter of Association of Family and Conciliation Courts (AFCC), Third Annual Conference. “Best Practice Standards for GALs" workshop, Seattle, WA. “Practical Aspects of Parenting Evaluations” Washington State Bar Association CLE, Seattle WA. "Parenting Plans and Evaluations." Washington State Bar Association CLE, Seattle, WA. "Effective Use of Parenting Evaluations in Divorce" CLE workshop, the National Business Institute (NBI), Seattle, WA. King County Council. Invited to speak about the variety and importance of children’s services in the court and the emotional and litigious stress resulting from divorce and the need of continued support and resources for parents. Seattle, WA. Sound Mental Health. Various presentations to staff and intern students on psychological testing procedures, cases, mental health and forensic topics. Seattle, WA. Ancheta, Alexa (January 2017). “Co-Parenting After Divorce: How To Communicate Harmoniously For Children's Sake.” Parent Herald. Collins, Lois (2014, March 17). "How raising kids within routines boosts social and emotional health." Deseret News National Edition, p. 2 and 3. Collins, Lois (2014, April 2). "Preventing broken marriages from breaking kids." Deseret News National Edition, p. 3. Washington State Department of Health Psychologist License, #PY 00003910, active. Ongoing professional training and professional memberships in the Association of Family and Conciliation Courts (AFCC) and the American Psychological Association (APA). Dr. Melanie English is presently a member of the Washington State Chapter of the Association of Family and Conciliation Courts (WA-AFCC), serving on the Board of Directors as well as co-chairing the Practice and Professional Standards committee of the Washington chapter.